Working on some custom orders and as usual I get distracted and decide to something out of the 'to make' list. 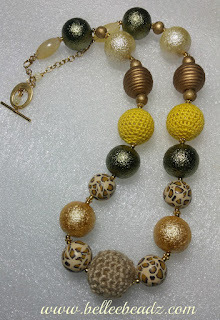 This lovely lightweight necklace features polymer clay, lucite, wood and brass spacers. Autumn shades....love working with these earthy tones.